Since 1973, Technodrive have been experts in the design, development, assemble and test or power transmissions to both marine and industrial applications. 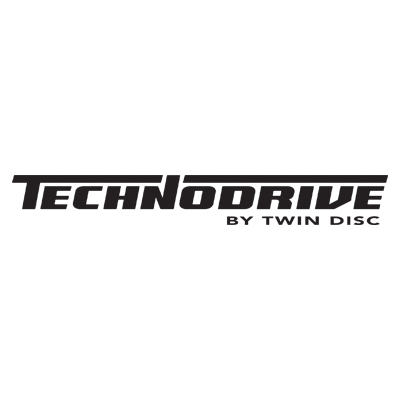 Since 1999, the expertise of Technodrive has formed part of the Twin Disc group. Technodrive’s product portfolio ranges from mechanical and hydraulic marine transmissions to PTO Clutches, Gearboxes and Pump Drives for industrial applications. The BD unit consists out of a manually engaged dry disc coupling with one, two or three discs, assembled on a shaft and bearings and mounted in cast iron housing, which may be coupled directly to Diesel engines with SAE flanges. They can be used for a variety of industrial applications where there is a need to disengage movement from the engine to the driven unit, such as the drives of compressors, fans, pumps. Technodrive range consists of single disc power take-offs by 6’’1/2, 7’’1/2, 8’’1/2, 10’’; 11’’1/2, double disc power take-offs by 11’’1/2, 14’’, triple power take-offs by 11’’1/2, 14’’ and 18’’, able to cover a power range between 15-700kW. BDS clutches are obtained by the corresponding BD clutches with the addition of a closing housing and of an input shaft to allow an independent mounting. Radial loads on input shaft are not allowed. With housing and coupling connection for diesel engines. Thanks to the availability of bell housings and couplings, we can offer a complete kit to couple a wide range of hydraulic pumps having SAE, ISO or CETOP flanging to Diesel engines equipped with flywheel housing and flywheel according to SAE specifications. The couplings are made of an external part of aluminium alloy and internal part of steel with intermediate rubber elements. The connection to the shaft is allowed by means of one or more splined hubs. These gearboxes have been designed to couple a diesel engine; they allow to operate a utilizer requiring an input speed different from the diesel engine speed. Cast iron casing, helical tooth, shafts from high quality steel, taper roller bearing on output shaft and input shaft is supported by a single bearing inside the casing so a pilot bearing entering the engine’s flywheel is necessary. These units may be provided with an output rotation direction equal to that of the input RM…S, RM…D or opposite direction to that of input. Multiple disc clutch in oil bath hydraulically operated with 24 VDC solenoid selector for remote control. Version : input cylindric shaft; output cylindric shaft for hydraulic pump connection. SAE 1 – 2 – 3 housing or free standing mounting posssibilities. Please view the Marine Geabox brochure here.